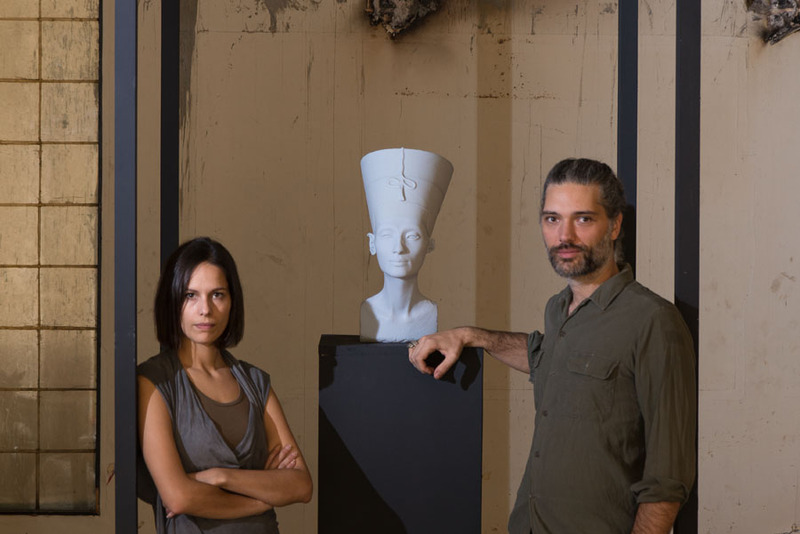 Last October, two artists entered the Neues Museum in Berlin, where they clandestinely scanned the bust of Queen Nefertiti, the state museum’s prized gem. Three months later, they released the collected 3D dataset online as a torrent, providing completely free access under public domain to the one object in the museum’s collection off-limits to photographers. Anyone may download and remix the information now; the artists themselves used it to create a 3D-printed, one-to-one polymer resin model they claim is the most precise replica of the bust ever made, with just micrometer variations. That bust will reside permanently in the American University of Cairo later this year as a stand-in for the original, 3,300-year-old work that was removed from its country of origin shortly after its discovery in 1912 by German archaeologists in Amarna. 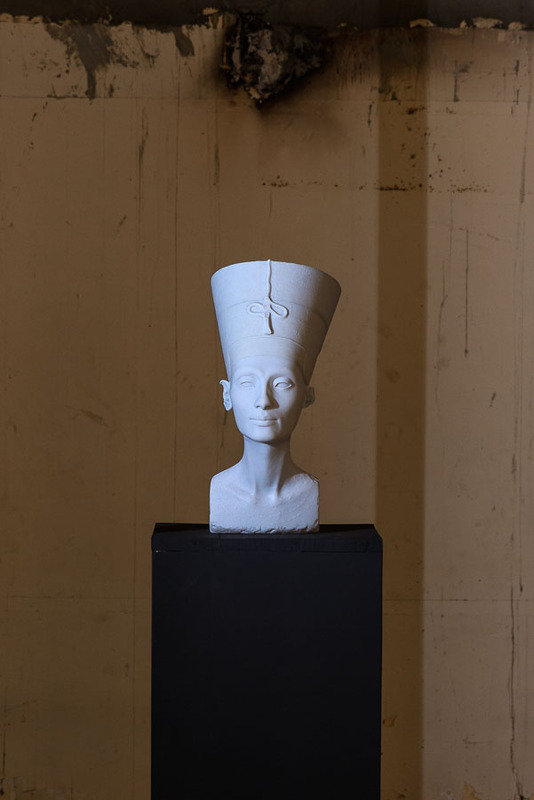 The project, called “The Other Nefertiti,” is the work of German-Iraqi artist Nora Al-Badri and German artist Jan Nikolai Nelles, who consider their actions an artistic intervention to make cultural objects publicly available to all. For years, Germany and Egypt have hotly disputed the rightful location of the stucco-coated, limestone Queen, with Egyptian officials claiming that she left the country illegally and demanding the Neues Museum return her. With this controversy of ownership in mind, Al-Badri and Nelles also want, more broadly, for museums to reassess their collections with a critical eye and consider how they present the narratives of objects from other cultures they own as a result of colonial histories. The Neues Museum, which the artists believe knows about their project but has chosen not to respond, is particularly guarded towards accessibility to data concerning its collections. According to the pair, although the museum has scanned Nefertiti’s bust, it will not make the information public — a choice that increasingly seems backwards as more and more museums around the world are encouraging the public to access their collections, often through digitization projects. Notably, the British Museum has hosted a “scanathon” where visitors scanned objects on display with their smartphones to crowdsource the creation of a digital archive — an event that contrasts starkly with Al-Badri and Nelles’s covert deed. In a gesture of clear defiance to institutional order, Al-Badri and Nelles leaked the information at Europe’s largest hacker conference, the annual Chaos Communication Congress. Within 24 hours, at least 1,000 people had already downloaded the torrent from the original seed, and many of them became seeders as well. Since then, the pair has also received requests from Egyptian universities asking to use the information for academic purposes and even businesses wondering if they may use it to create souvenirs. 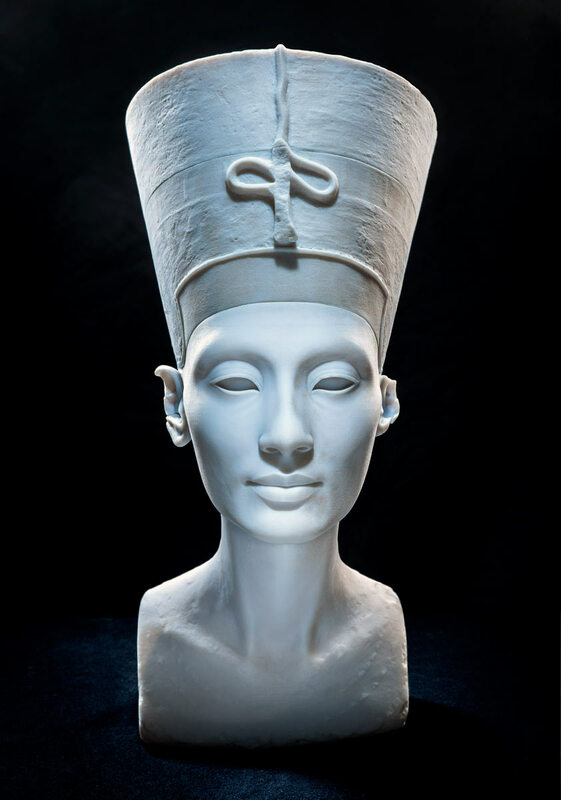 Nefertiti’s bust is one of the most copied works from Ancient Egypt — aside from those with illicit intents, others have used photogrammetry to reconstruct it — and its allure and high-profile presence make it a particularly charged work to engage with in discussions of ownership and institutional representations of artifacts. 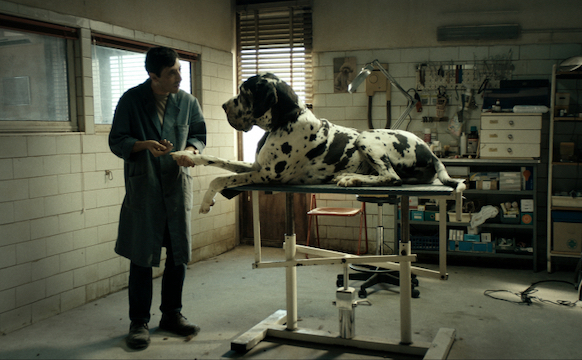 Al-Badri and Nelles take issue, for instance, with the Neues Museum’s method of displaying the bust, which apparently does not provide viewers with any context of how it arrived at the museum — thus transforming it and creating a new history tantamount to fiction, they believe. Over the years, the bust has become a symbol of German identity, a status cemented by the fact that the museum is state-run, and many Egyptians have long condemned this shaping of identity with an object from their cultural heritage. Ultimately, the artists hope their actions will place pressure on not only the Neues Museum but on all museums to repatriate objects to the communities and nations from which they came. Rather than viewing such an idea as radical, they see it as pragmatic, as a logical update to cultural institutions in the digital era: especially given the technological possibilities of today, the pair believes museums who repatriate artifacts could then show copies or digital representatives of them. Many people have already created their own Nefertitis from the released data; the 3D statue in the American University in Cairo stands as such an example of Al-Badri and Nelles’s ideals for the future of museums, in addition to being one immediate solution that may arise from individual action. Correction: This post originally stated that the bust is on display at the American University of Cairo (AUC) when it was, in fact, at the Something Else Off Biennale in Cairo Downtown. The bust is currently in transit and will be on view at AUC later this year. We apologize for the error; it has been fixed.